Out now! Golden duo Lucas & Steve returns with its much awaited new single ‘Say Something’. Following several recent pop and club hits, reaching new milestones in 2018, the Dutch act seems to prepare itself for another groundbreaking year with this record. Known for strong, uplifting melodies combined with energetic electronic grooves, the duo’s sound has steadily evolved here into a touching pop song, featuring inspired vocals, strong chorus and perfectly balanced, mid-tempo beats. 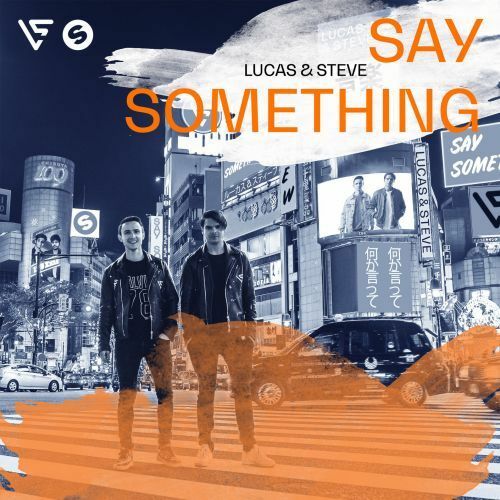 As if they have perfected their knack for feelgood sounds, Lucas & Steve deliver one of this year’s ultimate pop gems with ‘Say Something’!